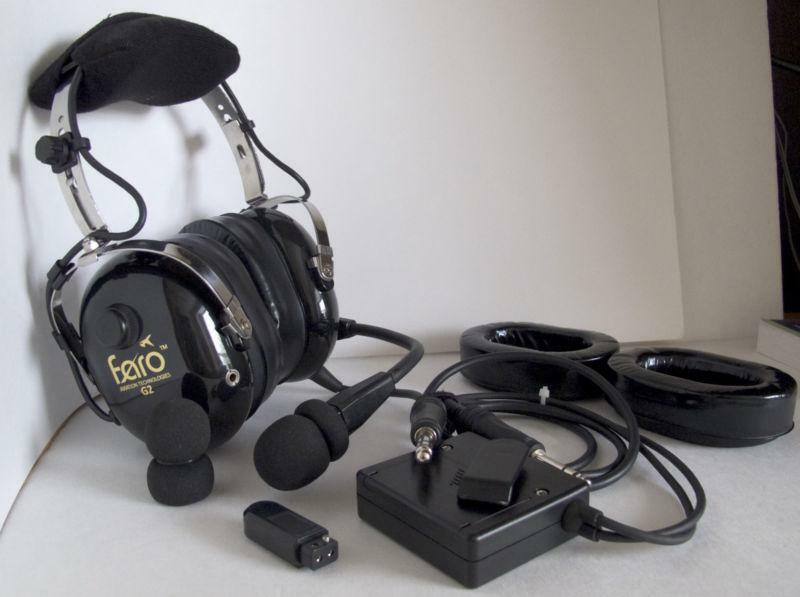 Faro’s budget over-ear headset is the Faro G2, which offers basic functionality in both passive and ANR form at a reasonable price. Passive and active (ANR) noise cancellation options. Dual-speaker volume controls mounted on earcups. ANR powered by dual AA batteries. Twin-GA (PJ) and helicopter U-174 connector options. The Faro G2 passive and ANR headsets are comfortable headsets that fill the low-midrange price bracket on the market. They are standard steel-band headsets with earcups which have independently controllable volumes and a standard powered microphone. The ANR model ups the ante by adding decent active noise reduction to what is essentially the passive headset. I really like this, actually – it means you get great passive noise reduction whether or no the ANR feature is turned on, and further noise reduction when it is turned on. Too many ANR headsets on the market skimp on passive noise reduction which I think is a poor design choice. As with all steel-band headsets, some users may be uncomfortable with the high head clamping pressure when they wear the headset for extended periods of time. This clamping pressure is necessary to get the earcups to seal around the ears and provide good passive noise attenuation. 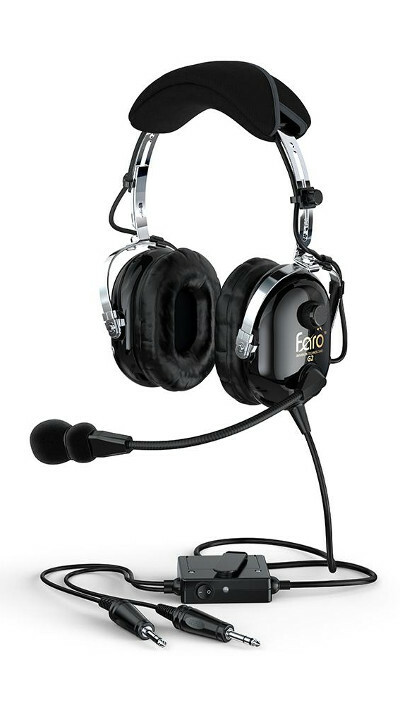 The Faro G2 includes soft leather ear seals which does improve comfort a bit. Similarly, a nice fat cushion wrapped around the top of the headset will ease long term wear. Both the passive and ANR models include an auxiliary MP3 jack. This feature is often missing from passive headsets so if you are looking for a real budget headset with this feature, the G2 might be right for you. Our honest opinion is that the Faro G2 is a pretty hard sell. They perform well at all the basics, but price-wise do not really compare with the near-identical offerings from CRAZEDpilot. If you are going to go cheap, it seems there are better options on the market. If you are willing to spend around $400 for the ANR market, you would probably be better served looking at the used market for a higher-end Lightspeed or Bose headset in our opinion.